The case concerning the right of return of the Chagos Islanders, who were forcibly removed from their homeland by the British authorities between 1968 and 1973 to make way for the U.S. base on Diego Garcia in the Indian Ocean, is before the European Court of Human Rights in Strasbourg. In the near future, the judges will rule whether the case falls within the court’s jurisdiction. If it does, a verdict is expected by July or August. In the meantime, a petition to the Obama Administration is calling for the Chagossian exiles to be able to return to the outer islands of the Chagos Archipelago like Peros Banhos and Salomon, along with financial compensation and targeted employment programs. The petition has just been launched by the SPEAK Human Rights and Environmental Initiative. The organization was founded in 2010 by a small group of Mauritian lawyers, and is working with the Port Louis-based Chagos Refugees Group led by Olivier Bancoult. The aim of the petition is to collect at least 25,000 signatures by April 4. A successful number of signatories on the “We the People” website will oblige White House staff to review the issue, seek expert opinion and provide an official response. Details can be found here. For a comprehensive study of Diego Garcia and the Chagossians’ situation, see the books Island of Shame: The Secret History of the U.S. Military Base on Diego Garcia by David Vine and Chagos Islanders in Mauritius and the UK: Forced Displacement and Onward Migration by Laura Jeffery. Vine is a cultural anthropologist and professor at American University in Washington, DC. Jeffery is a social anthropologist at the University of Edinburgh. USA was deeply concerned with the stability of the host nation of any potential base, and sought an unpopulated territory, to avoid United Nations’s decolonisation requirements and the resulting political issues of sovereignty or anti-US sentiment. The Chagossian right of occupation was violated by the UK Foreign & Commonwealth Office as a result of the 1966 agreement between UK & US governments The forced removal of the Chagossian people was an act of ethnic cleansing. The frustration of more than four decades of of exile for the Chagos islanders exacerbated by the refusal of successive UK governments to find a just solution kept breaking though. How can it be that a military settlement is lawful when the rightful inhabitants are not allowed to settle there? US & UK military squatters have taken over the rightful habitation of the islands. Each revelation about the UK’s dealings with Diego Garcia is more disgraceful than the previous, and still the cover-up continues. Presently about 50 British and 1,500 U.S. military personnel, and 3,000 support workers of various nationalities reside at Diego Garcia. Most of the roughly 1,500 displaced Chagossians were agricultural workers and fisherman. Uprooted and robbed of their livelihood, the Chagossians now live in poverty in Mauritius’s urban slums, more than 1,500km from their homeland. A smaller number were deported to the Seychelles. 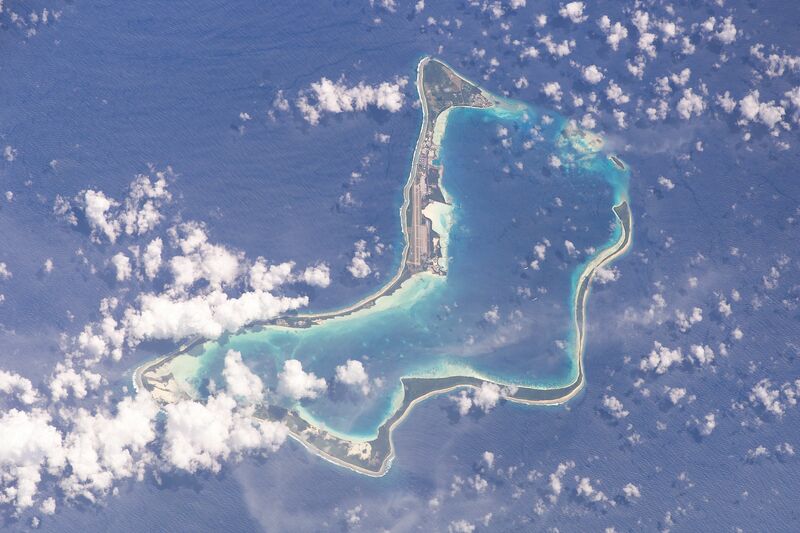 About 800 islanders forced off Diego Garcia are alive today, and another 5,000 Chagossians have been born in exile. A 2003 60 Minutes segment and a 2004 documentary by Australian journalist and filmmaker John Pilger, “Stealing a Nation”, have done much to publicize the little-known plight of the islanders. Visit http://video.google.com/videoplay?docid=-3667764379758632511# to watch the documentary by John Pilger titled ‘Stealing of a Nation’ which discusses the current plight of these indigenous people who have been forcibly exiled by the so-called guardians of democracy and human rights, the British, for the benefit of their loyal friends, the Americans, so that the US has an unrestricted platform to launch attacks on other nations which do not comply with the so called ‘new world order’ as dictated by the US.